Here’s another look from my trip to NYC. 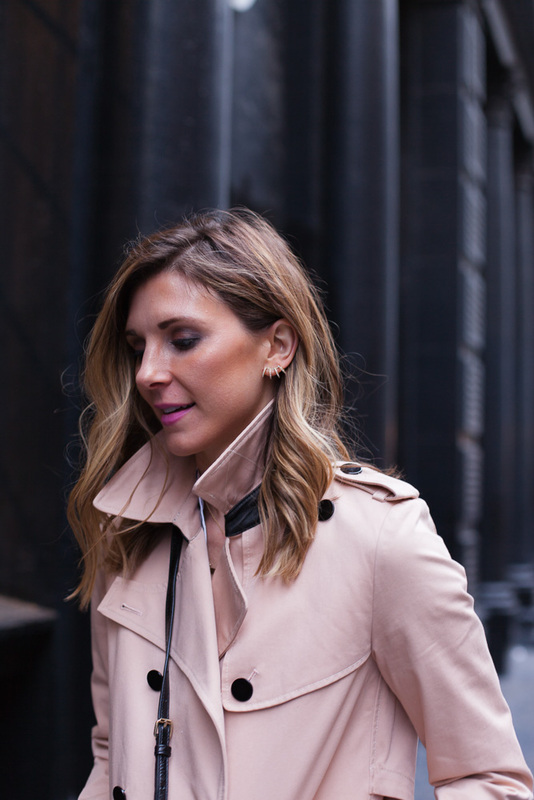 A classic trench is a favorite of mine and a wardrobe staple. This Rebecca Minkoff one doubles as two different jackets. So cute and awesome! I paired it with leather leggings (only $28) and over the knee suede boots. I had the honor of visiting Rebecca Minkoff’s office in NYC. RM has always been one of my most favorite brands. Her handbags are always perfection. I have my eye on this darling pink one! I love that trench! There's nothing better than a trench thrown over a streamlined black outfit! I just got a similar trench in a rose quartz color from coach, such a great spring piece! I love this look, so chic and simple!